If you want to preview some of the work they have posted please check out their Social Media! All of the artists are busy getting ready to greet you in their studios/homes. The banners are up along Main Street Stouffville. 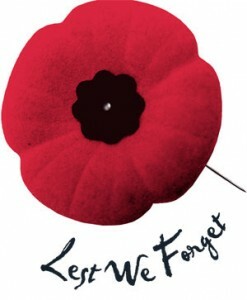 Please make sure to take a moment today to remember all the brave men and women past and present who served. Our way of life was defended and protected by those who fought and were peacekeepers in our world. Canada's first war art program was was established by Max Aitken, Lord Beaverbrook and Lord Rothermere under the Canadian War Records Office of the Canadian Army during World War I. Known as the Canadian War Memorials Fund, the program employed more than 60 artists to travel to the battlefields of the Western Front and produce canvases that would document the conflict. 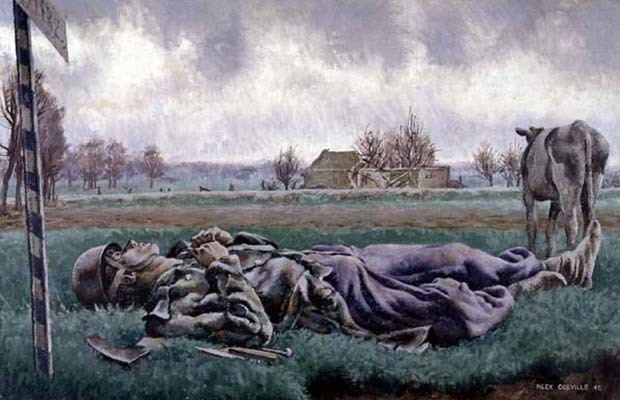 At the end of the war a large portion of the art was exhibited in Toronto, Montreal, Ottawa, London and New York. With works such as F. H. Varley's For What? it was clear the artists had seen the underside of the war. Thanks to the precedent of the Canadian War Memorials Fund, Canadian artists were once again pressed into service during World War II. However, the war art program was not officially created until 1943, thanks to the efforts of Vincent Masses and H.O.McCurry the director of the National Gallery of Canada. It was then that the Canadian War Art Program fell under the jurisdiction of the Department of National Defense. With more than 1,000 works, the art from the Second World War focused less on a scarred landscape and more on the people and machinery involved. Lawren Harris's Tank Convoy demonstrated the power of man-made machinery, and Alex Coville's Tragic Landscape serves to contrast war with nature. The importance of this art cannot be understated; as noted by the Canadian War Museum "The works of war art are a unique legacy for all Canadians. Not only are the vivid depictions of military events inspired by personal experience, but they are also important elements in our nation's art history. They constitute nothing less than a reflection of our national heritage." The Canadian War Museum has an online exhibit entitled "Art and War". Today, take time to remember the war artists; the people who risked their lives to document our history. 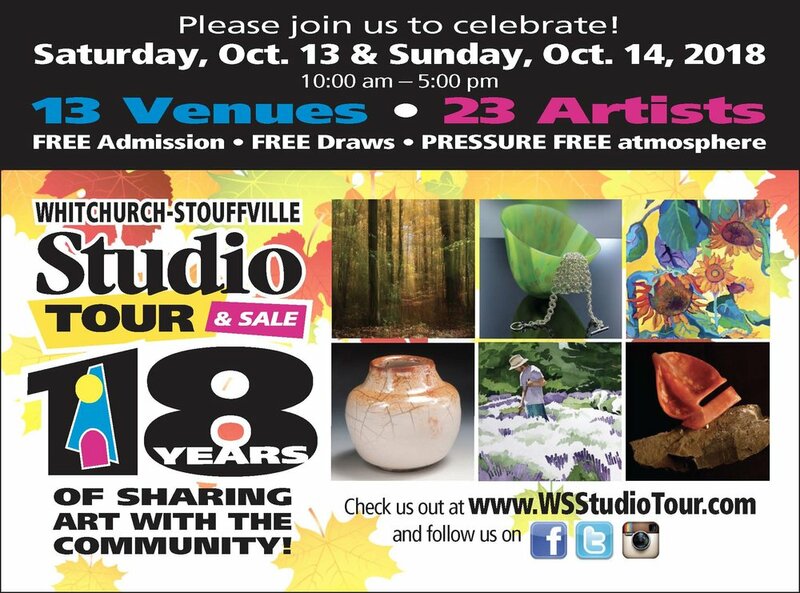 The Stouffville Studio Tour artists wish to thank everyone who supported our 17th Annual Tour.